Protect your eyewear from scratches with the Sunglasses Pouch. 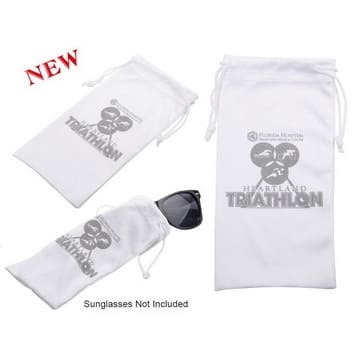 This item is made from a soft microfiber cloth with a drawstring closure. Available in white.